Since about a month, we are tracking numerous attempts to exploit the Java Struts2 vulnerability (CVE-2017-5638). Typically, the exploits targeted Unix systems with simple Perl backdoors and bots. 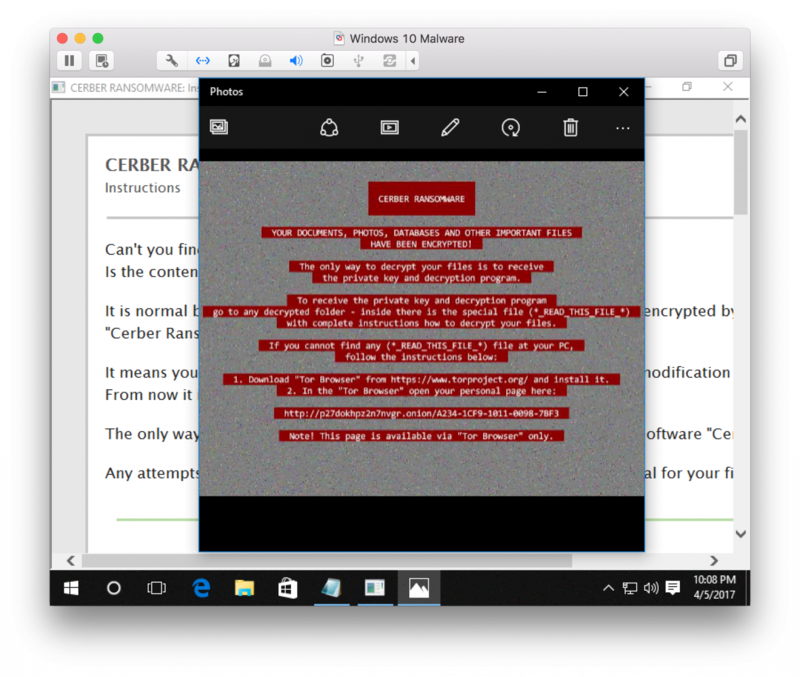 But recently, I saw a number of exploit attempts targeting Windows systems using a variant of the Cerber ransomware. The script uses BITSAdmin to download the malware (I obfuscated the URL above. finally, the malware is executed. The malware reaches out to btc.blockr.io to retrieve a bitcoin wallet address for the money transfer. Encrypted files are renamed using random (encrypted) file names.